Then you have the building itself, where Pennington engages in the theory of narratival reading and the importance of literary context (chs. 9-10). Thirdly, he discusses what it means to live in the house, particularly relating to application (chs. 11-12). I will deal here with the first fourchapters. Chapters 1-2: What are the Gospels? For Pennington, the “Gospels” are, of course, about the gospel, the “good news.” But what is the good news? It is “the long-awaited return of God himself as King [through Jesus], in the power of the Holy Spirit bringing his people back from exile and into the true promised land of a new creation, forgiving their sins, and fulfilling all the promises of God and the hopes of his people” (16). This sounds a lot like Tom Wright! Well, I can’t argue with that! Now for “genre.” Pennington basically accepts what appears to be a new consensus that the gospels fit the genre of bios (a la Burridge). He has some criticisms for Burridge’s perspective (particularly how unique Jesus is in the Gospels as a soteriological agent and one who is clearly more than a normal human who takes the role of a hero in a bios), but he is especially appreciative of the bios focus on the reader emulating the hero (p. 33): “If the goal of the evangelists is (at least in part) to present Jesus as a model of God-ward virtue, then we should receive them as such, keeping this goal as an important part of what it means to interpret the Gospels and to read them well” (33). Chapter 3: Why Do We Need the Gospels? In the third chapter, Pennington offers 9 reasons why we need the Gospels (and we can’t just learn from Paul). 6. They offer a different way of learning “truth” and “doctrine” (i.e., through narrative). 8. Encountering Jesus in narrative helps us grow in experiential knowledge. 9. In the Gospels alone we have a personal, up-front encounter with Jesus Christ. In this chapter, Pennington deals with the problem and benefit of the fourfold story of Jesus in Canonical Gospels. He discusses early Christian embarrassment regarding discrepancies and some limited solutions (Tatian). Regarding harmonization, he mentions that there are some who have tried to make everything work out perfectly so no one is “wrong” (he calls this “maximalist harmonization”) Pennington acknowledges many flaws in this kind of approach and alternatively advocates “reasoned harmonization,” choosing to see divergent accounts not as contradictory, but complementary. 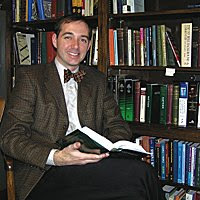 Looking at problematic differences in sayings and minor details in teaching discourses, Pennington (rightly) confesses that while we cannot claim to be reading the ipsissima Verba of Jesus, we can be quite certain we have the ipsissima Vox of Jesus (p. 63): “We can be confident that the Gospels, as inspired, canonical documents, accurately reflect Jesus’ teaching, but we need not (and cannot) insist that they always contain the exact words of Jesus. This is to demand too much and goes beyond what is required in historical discourse” (63-64). I found this book a very enjoyable read overall especially because Pennington is a skilled communicator. There are just a few items in these earlier chapters that I found problematic. 1. Pennington briefly makes the case that the original autographs of the Gospels probably had titles (contra scholarly consensus). I really don’t think there is enough evidence to make this kind of case. This would be an interest topic for a dissertation, but could hardly be developed in 2-3 pages as Pennington tries to do. 2. Pennington argues nine reasons why we should be interested in the Gospels (see above). Firstly, I don’t think he needed to devote a whole chapter to this, as it doesn’t take that much convincing for Christians to want to read about Jesus! Still, he did make a few good points. However, the idea that “truth” is best learned through story – this really needs to be proven scientifically or it is just an interesting theory. 3. Pennington argues that there is not as much of a distance between John and the Synoptics as some scholars have argued in the past. Here I agree with Pennington, but I think he would have been very well served by giving close attention to the work of Paul N. Anderson. His work is noticeably absent from Pennington’s book, and this is an unfortunate oversight. Anderson often refers to the “bioptic” nature of the Gospels and the interpenetration of the Jesus traditions as they find themselves finally written down into four Gospels. One can sense that Pennington, while writing a book on all the Gospels, has a preference for commenting on Matthew and Luke. John is given far less direct mention or attention. Stay tuned – in the next installment, we will turn our attention to chapters 5-8. Previous postBeverly Gaventa moving to Baylor! Having read the book, I am in agreement as to the uniqueness of the book. Just wanted to throw out some comments in terms of your assessment, specifically items 1 and 2 of your evaluation. In terms of the title, Pennington leans very heavily on Hengel. Would Hengel’s work not serve as sufficient enough research? On item 2, you make the comment that story must be validated “scientifically.” Wouldnt the concept of “science” fall prey to the same criticisms he levels at “history”? I appreciate your engagement with this work, because I am also wrestling with some of the implications of the book for my own research and enjoy others’ perspectives. (1) Hengel – I suppose you are right. I guess Pennington should have spent more time drawing out Hengel’s evidence. I simply found P’s discussion too cursory. (2) science – I think that P’s argument about story and “truth” seems more like a trend than a well-developed argument. Thanks for your comments! Always good to interact with folks who have read the book! I’m also currently reading the book and am on chpt. 10. Regarding proving something scientifically, I don’t think that can be done either way. I take it that Pennington is just making an assertion based on personal experience and the testimony of others regarding the power of story. Story puts flesh and bones on truth whereas rational discourse is the skeleton. Do you consider it out of bounds for an author to make an assertion that’s not backed by a randomized controlled trial? Would you feel better if he prefaced the assertion with, “In my opinion….”? I personally just don’t see the big deal. Regarding your concern #2, I think it was necessary to include a whole chapter on the importance of the gospels because they are so neglected in the conservative evangelical, particularly reformed world, which typically focuses on Paul and other epistles. I seldom heard sermons or Sunday school lessons taught from the gospels growing up in church. Perhaps you don’t see the big deal, but in my experience it was completely necessary. In fact, its such a problem I may have even included an additional chapter. There is a major problem and I applaud Pennington for telling it like it is. (1) Well, I just think it is very subjective to say that learning “truth” from story is most effective or powerful; if it is his opinion (versus something more objectively studied), yes, I do think that makes a difference. I wouldn’t say its the most important thing to change in the book, but I think it worth mentioning. (2) I see your point; perhaps it is about one’s experiences. I suppose I would have preferred Pennington focusing more deeply on 3-4 points rather than 9. It is not that I disgree with Pennington that the Gospels should be taught and preached. Of course they should! It seems a little naive to think you can prove or disprove scientifically whether truth is best transmitted by story or not. What I think you can say is that Christ used story, parable, frequently to make his point. His teachings are short on abstract doctrinal statements.